Johannesburg, 17 April 2009 – In the current economic climate, many organisations are focusing on rationalizing costs across the board. Increasingly, organisations are setting cost saving targets, compelling managers to find ways to cut operational costs within their departments. 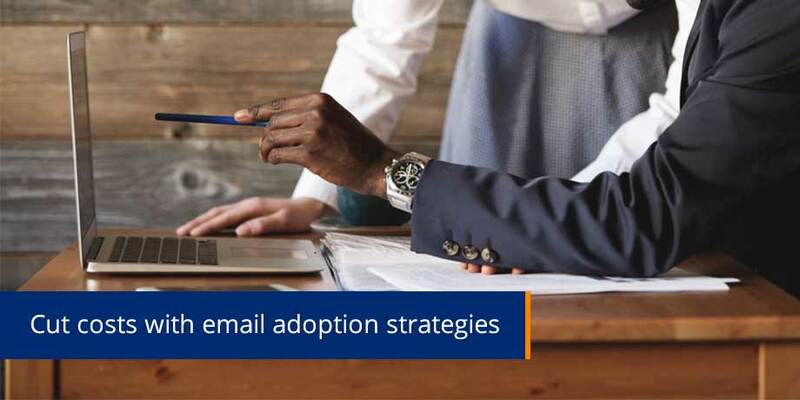 One way is to encourage email adoption initiatives. Coupled with the growing need to reduce the environmental impact of paper consumption, many organisations are looking to the cost efficiencies and expanded capability of communicating with customers electronically. According to Mia Papanicolaou, COO at electronic messaging specialist Striata SA, regular customer communication is a key element of the business cycle and companies are turning to email as an alternative means to distribute, not only marketing, but also operational communications such as invoices, statements and reports. Paper turn-off can be achieved only if accurate email addresses are on record. “This is best achieved by using proven strategies employed in general marketing,” says Papanicolaou. “Every touch point with a customer should be used to its full potential to achieve the end goal. As an example, by tagging a message on to paper statements currently sent, direct mail, bulk SMS or current eMarketing initiatives, customers can be encouraged to sign up to receive electronic billing. Papanicolaou reports excellent success rates on targeted conversion campaigns using outbound SMS or inbound short-code processes. “In every execution, wording is extremely important in achieving higher email adoption rates. Companies embarking on these exercises should continually evaluate the processes — are they getting the best response from an SMS message sent with the aim of obtaining an email address in the reply? Are they maintaining communication with customers through reminder campaigns?” she adds. Papanicolaou goes on to say that proper management of conversion strategies and focus on maintaining the accuracy of the data are essential for success. The right approach is a broad communication plan that maps appropriate communication to the customer lifecycle. This ensures a co-ordinated approach that involves all stakeholders, avoiding customer fatigue caused by frequent or irrelevant communication.